When Is The Puerto Rican Day Parade? The Puerto Rican Day Parade will take place on Sunday, June 12, 2016. What Time is the Puerto Rican Day Parade? The Puerto Rican Day Parade begins at 11 a.m. and lasts until approximately 5 p.m.
Where Does the Puerto Rican Day Parade Go? The Puerto Rican Day Parade begins on Fifth Avenue at 44th Street, and continues north along Fifth Avenue to 79th Street. 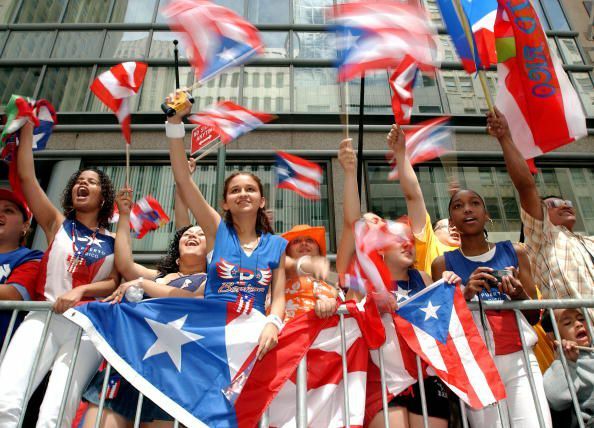 The Puerto Rican Day Parade has been organized in New York since 1957 and over 80,000 people participate in it each year. Nearly three million people attend the Parade and many more watch it on television. This parade lasts most of the day and is very popular, so expect Fifth Avenue and surrounding areas to be crowded, whether you are attending the parade or not. Mid-June can be quite hot in New York City, so if you are attending the parade, be sure to stay adequately hydrated. Subways stations along the parade route can be crowded, particularly later in the afternoon when the parade is winding down. What's the Best Way to Enjoy New York City's Columbus Day Parade?